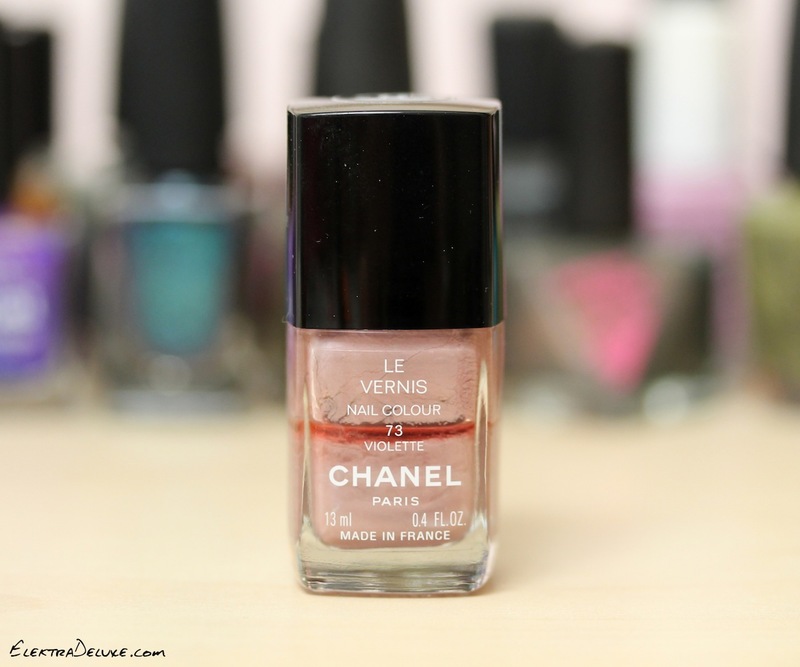 When I was in high school there was this one Chanel polish I always resorted to whenever I needed something neutral and chic: Chanel Violette. It is a muted mauve shimmer. I even dare to say frost because it’s heavily prone to brush strokes! It’s so weird because usually I prefer cremes to shimmers and brush strokes are always annoying, aren’t they?? My polished heart works in mysterious ways sometimes. I took a picture of the bottle before I shook it up so you can see that half of the bottle is gone. That’s groundbreaking for me and my huge stash! Although I still adore Chanel Violette I haven’t worn it for ages (395 untrieds … need I say more?). 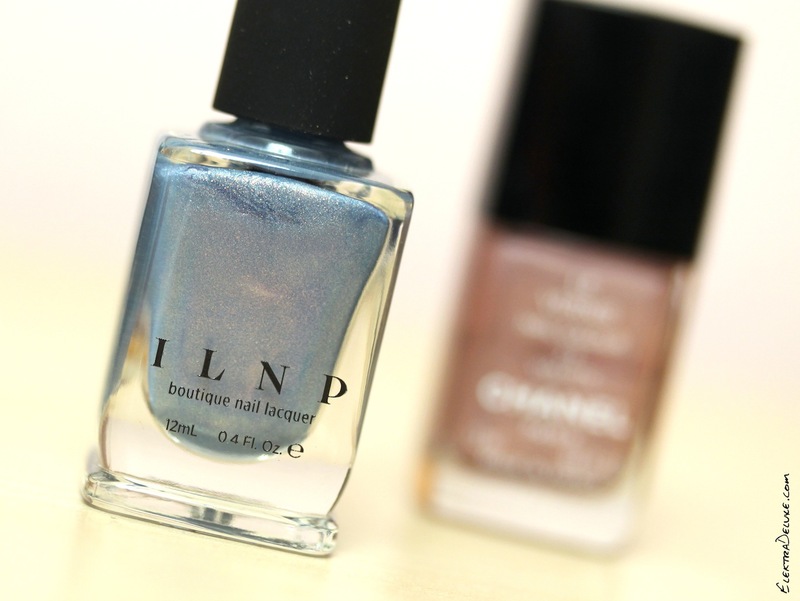 But recently I came across a polish that totally reminds me of it in terms of its neutral appearance and versatility. 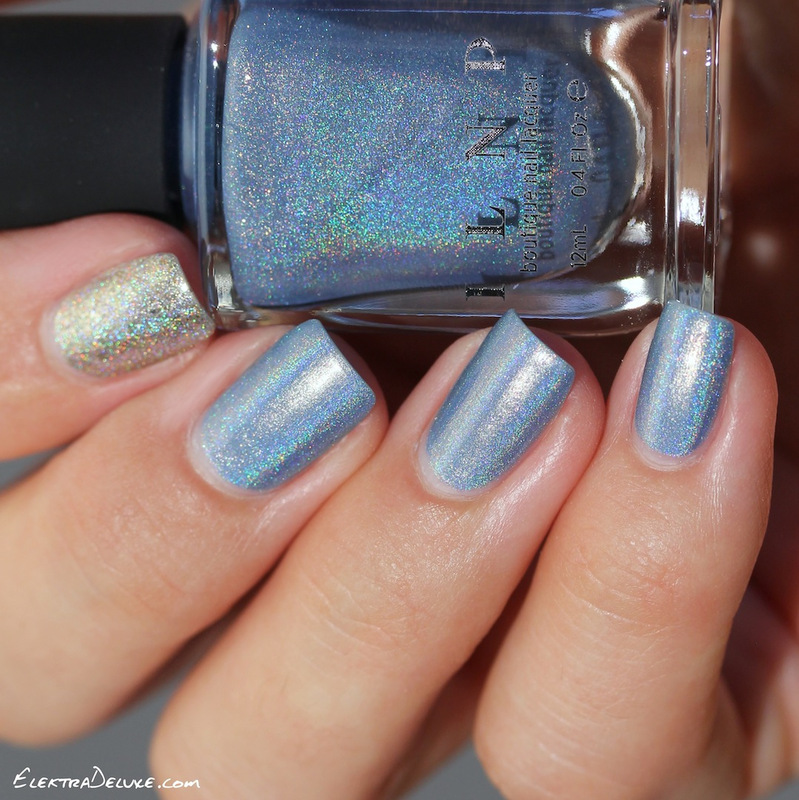 It is ILNP Peri Me, a periwinkle holographic. It’s so subtle and delicate and I feel like it can be worn with almost every piece of my wardrobe. If the word periwinkle wasn’t available I would describe the color as light denim blue and come on, denim goes with everything! I think that blue has great neutral qualities in general. For example I was perfectly ok with the inclusion of OPI Miss Piggy’s Big Number in the OPI Soft Shades Collection Muppets Most Wanted. On the pictures I’m wearing 2 coats of ILNP Peri Me on all nails except on my index finger where I applied 2 coats of ILNP Fame. Peri Me is from this year’s spring collection. The formula is flawless. To conclude, ILNP Peri Me is my new Chanel Violette 🙂 What is your go-to polish for an understated yet stylish look?